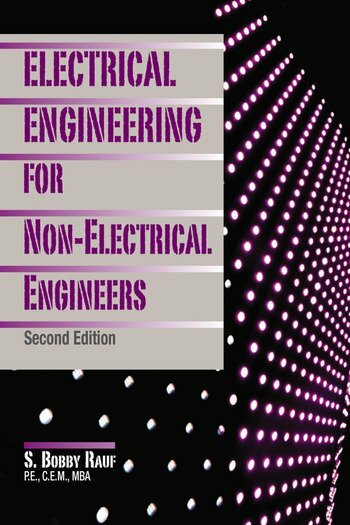 This book is designed to serve as a resource for exploring and understanding basic electrical engineering concepts, principles, analytical and mathematical strategies that will aid the reader in progressing their electrical engineering knowledge to intermediate or advanced levels. The study of electrical engineering concepts, principles and analysis techniques is made relatively easy for the reader by inclusion of most of the reference data, in form of excerpts from different parts of the book, within the discussion of each case study, exercise and self-assessment problem solution. This is done in an effort to facilitate quick study and comprehension of the material without repetitive search for reference data in other parts of the book. To this new edition the author has introduced a new chapter on batteries where the basic, yet important, facets of the battery and its sustainable and safe operation is covered. The reader will be shown the not-so-obvious charging and discharging performance characteristics of batteries that can be determining factors in the selection, application and optimal performance of batteries. Electrical Engineering Basics. DC Circuit Analysis and Basic Electronic Devices. Alternating Current (AC) Fundamentals. DC and AC Power. Power Factor. Demand, Load Factor, Service Factor and Electrical Power Bill Computation. Electric Motors and Generators. Power Distribution Equipment, Instrumentation and Electronic Safety Devices. National Electric Code, NFPA® 70 E and Electrical Standards. Electrical and Controls Drawings. Electrical Power Rate Schedules and Electrical Energy Cost Savings Opportunities. Illumination and Lighting System Design. Batteries.